Our pumpkin and ricotta gnocchi are a twist on the classic. This recipe is so easy it’s almost sinful! By using ricotta instead of the more traditional potatoes, you end up with little pillows that are light and fluffy. 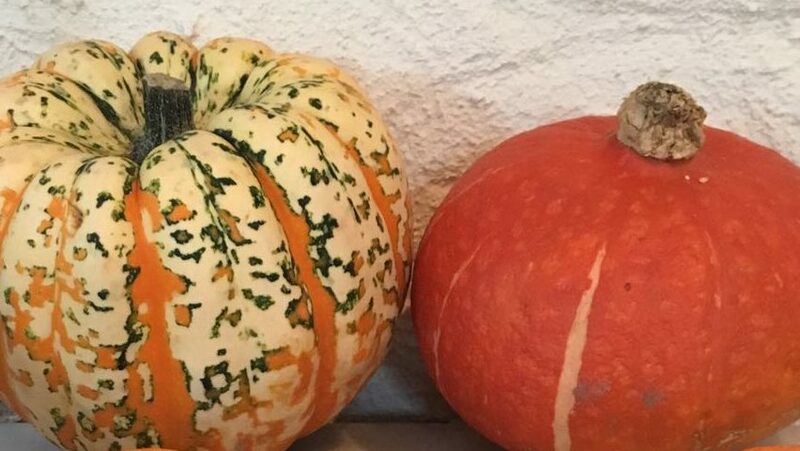 The consistency of an italian pumpkin is less watery than our traditional orange “halloween” pumpkins and is more like a butternut squash. Use the traditional pumpkin or butternut squash for a similar taste. PEEL your pumpkin and remove the seeds from the inside. CUT into 2cms cubes and place on a baking tray. SEASON with salt and pepper and a little drizzle of olive oil Cook for 40 mins or until soft and tender. MASH it until smooth and stir in the ricotta, butter, parmigiano, salt, pepper and nutmeg. ADD the eggs and flour and combine until it forms a soft dough yet does not stick to your hands. Add a little extra flour if necessary. ROLL into long into a long sausage shape. Take a knife and cut the dough into small, even squares approx. 2cm. DUST some trays with polenta and place your finished gnocchi onto them. Try not to overcrowd the trays so they don’t stick together. You can either freeze them on the trays, or cook them immediately from fresh. SCOOP them out of the water with a slotted spoon and place onto your serving dish.